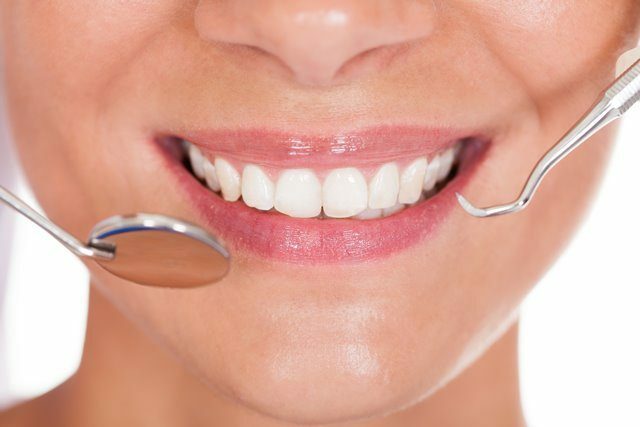 Bright and white teeth are often associated with excellent oral health. However, at times, pale patches (brighter than the surrounding enamel) can appear in adults and children alike. These patches can denote an underlying dental condition, but not always. The presence of these white spots means that the enamel is eroded or damaged. The eroded spots turn to pale white because the enamel is stripped of its natural minerals. White spots can manifest for various reasons, with the most common culprit being fluorosis. While none of these conditions is severe, it’s important to schedule a check-up with a dentist to determine the cause. If your white spots have been present since you were a child, you might have consumed a little too much fluoride, especially from water, as you grew up. If the white spots have just developed, then it could be a sign of decalcification. It could also be a sign that you are developing cavities. If this is the case, you might also notice an increased sensitivity to hot or cold foods and drinks and to sugary foods and beverages. Fluoride strengthens teeth and keeps tooth decay at bay. However, too much fluoride in developing teeth can cause discolouration. This may also happen when kids consume drinks with fluoride or get in the habit of swallowing fluoride toothpaste. This is a condition where you have less enamel than usual. This condition can be caused by nutritional deficiency, which leads to the loss of minerals from the teeth. A common cause of this condition is celiac disease. It can also result from medication side effects and high fever. This happens when there is a build-up of bacterial plaque on the teeth. Demineralisation is a common problem in adults and kids who don’t practice good oral hygiene. 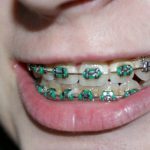 Children who wear braces are also susceptible as they have a harder time brushing their teeth thoroughly – impeccable oral hygiene is, therefore, a must. Eating a lot of acidic foods can lead to the development of white spots on teeth as they erode the enamel over time. These include oranges, pineapples, lemons, grapefruit, and sodas. Acid reflux can also cause white spots on the teeth. The acid from the stomach contains hydrochloric acid and is strong enough to erode the enamel over time. Bacteria thrive in an acidic environment usually created by eating acidic foods and having poor oral hygiene. Before they cause cavities, bacteria strip your teeth of essential minerals and cause white spots. If you sleep with your mouth open, you may notice white spots in the morning that disappear in the day. The white spots appear as a result of dehydration of the enamel. Having a cold is one of the common reasons why most people sleep with their mouths open at night. When your mouth is closed, saliva flows normally, rehydrates the teeth and the white spots disappear. This often occurs without many people noticing it. 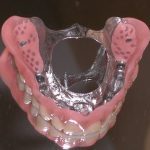 If a child falls and knocks out a milk tooth while the permanent tooth was still forming underneath, the permanent tooth could have white spots in the position where the milk tooth would have hit it during development. 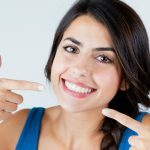 If white spots run in your family, then there are high chances that they will develop on your teeth as well – it’s in your genes. High fever in children is linked to a mineral loss in teeth. If a young child suffers a high fever, the teeth developing at that stage may have a white band of demineralised enamel corresponding to the part of the tooth that was developing at the time. Several approaches can be used to get rid of white spots. The best method to use depends on how severe the causative condition is. It involves gently scraping a thin layer of the enamel. It is often complemented with a tooth whitening process; this improves the overall appearance of the teeth. If the white spots are early signs of tooth decay, re-hardening the teeth helps prevent them. The dentist uses special pastes that contain phosphate and calcium molecules to re-harden the enamel. The process restores your teeth’s natural look and improves the appearance of white spots. 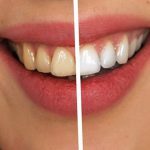 Dental veneers are a great option when you have too many white spots that can’t be removed by bleaching. 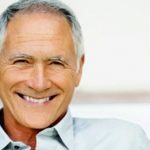 Veneers are bonded to your incisors and canines. Usually, a thin layer of enamel is scraped to make room for veneer fitting. During the bonding process, the dentist applies a composite resin to your teeth to get rid of the white spots. This process is convenient, affordable, and fast (it’s completed in a single visit). For those with enamel hypoplasia, the dentist applies topical fluoride; this helps to encourage enamel growth and curb tooth decay. If you feed your baby with instant formula milk, you should ensure that you only give them products that are made with fluoride-free water, this helps to prevent excessive fluoride intake. Kids below three years should use toothpaste equal to the size of a rice grain. Those above three can increase the toothpaste amount to the size of a pea. Also, you need to supervise your child while they brush to ensure that they spit the toothpaste rather than swallow it. Water from a well should be checked every year for fluoride levels; this is especially important for those with children in the house. Kids between 6 months and 16 years and who live in areas with water that is not fluoridated are at a higher risk of tooth decay. It is recommended that they take fluoride supplements as per dentist prescription. Since acidic and sugary drinks and foods increase the chances of developing white spots and tooth decay, we recommend reducing their intake. If you are concerned about your dental health or that of your child, it’s imperative that you see a dentist. Although white spots are harmless, they can be a sore sight and can be a sign of an underlying condition. Generally, white spots are nothing to be overly worried about as they are easy to treat. 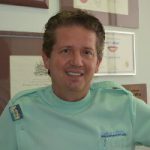 With the intervention of a dentist, they can be removed or cosmetically covered.